UPDATE: SEGA has reached out to us with their statement on the error, telling us that the issue has been resolved! 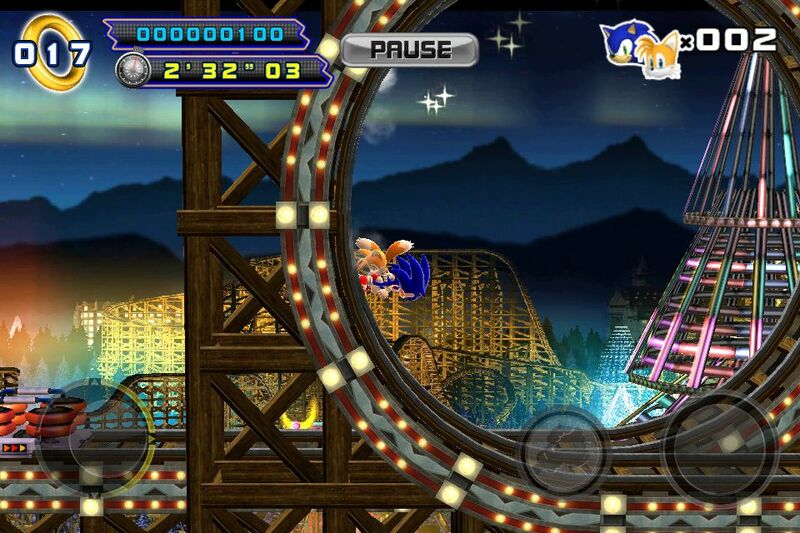 As part of a special promotion, Sonic CD is now free with ads (regularly priced at $2.99) from the App Store. 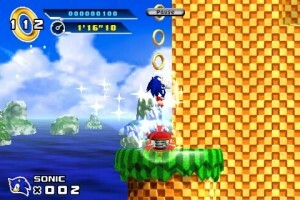 For players who previously purchased Sonic CD, ads were mistakenly added to their game. This was not intended and the issue has now been resolved. Players will need to update to the latest version of Sonic CD (2.0.1) on the App Store. We apologize for the error. After initially becoming unusable following the iOS 7 update back in 2013, reports are coming in from iOS device owners that 2012’s Sonic 4: Episode 2 has become functional once again, following the new iOS 8.3 firmware update. 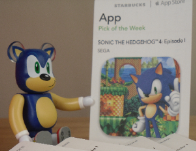 The game was pulled from Apple’s App Store several months after the discovery of the incompatibility problems, following a promise from SEGA of an update to restore functionality never materialised. The game remains off the store, meaning that only those who bought the game whist it was available will be able to play the game now. Whilst the game now appears to function with the new iOS software, players are also reporting noticeable bugs during the game (and in the case of some devices like the iPhone 6, still not functioning at all), meaning the app is still not running at optimum performance. The most noticeable of these bugs is that skipping cutscenes causes the game to freeze and crash. We’ll keep our eyes out for any more reports, and will update with any further details as we get them. Many thanks to Zlynx on SSMB for the heads up! Continue reading Giveaway! 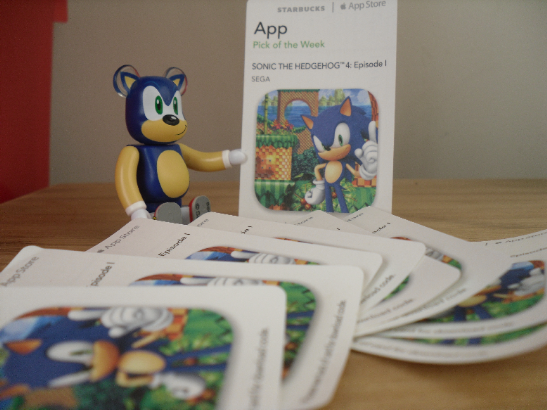 Go to Starbucks, Get Sonic 4 Episode 1 For Free! SEGA has today re-released Sonic’s Mega Drive/Genesis pinball outing Sonic Spinball on the iTunes App Store for iPhone, iPod Touch and iPad. 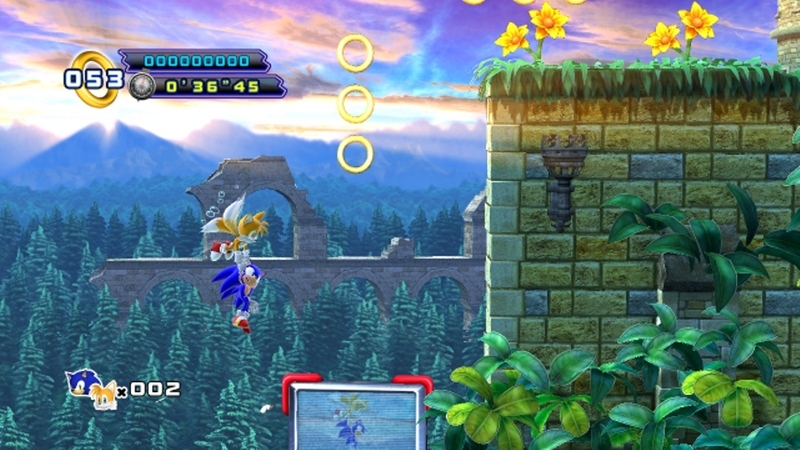 Sonic Spinball features four levels, three bonus stages and is played using touch screen button controls like all other classic Sonic games available for the devices. The game is priced at $2.99 in the U.S. and £1.79 here in the UK and weighs in at 4MB to download. One new feature in this release is the option to play both the U.S. version and the Japanese version, but the only notable difference is a couple of different music tracks. Thanks to SSR DJ JayZeach for the heads up! SEGA has announced permanent price drops on most of their iPhone, iPod Touch and iPad games, including Sonic the Hedgehog, Sonic the Hedgehog 2 and Sonic the Hedgehog 4: Episode 1. All three games have been jumping up and down in price in recent months, but now you can grab them pretty cheap without worrying about special sale time limits (and just in time for Christmas, too). The two classic Mega Drive/Genesis titles Sonic the Hedgehog & Sonic the Hedgehog 2 have been reduced to £2.99/$4.99 each and Sonic the Hedgehog 4: Episode 1, which is barely 2 months old, has been dropped to just £3.99/$6.99. SEGA’s Digital Brand Manager Ken Balough has just announced at the SEGA Forums that SEGA will be submitting a free update to Apple on October 15th for Sonic the Hedgehog 4: Episode 1 on iPhone, which will add Game Center support. 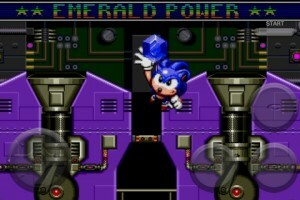 Hopefully you guys had a terrific 1st day enjoying Sonic The Hedgehog 4 Episode I on the iPhone! That said – I’d like to let everyone know that on October 15th, we are submitting to Apple a free update for Sonic 4 that would give it Game Center. So stay tuned as we add this new feature. No exact details were given as to which Game Center features will be supported, but we expect the game will gain the online leaderboard and achievement features that other versions of the game have. We’ll update you when more details are made available. For more information about Game Center, head over to Apple’s website. 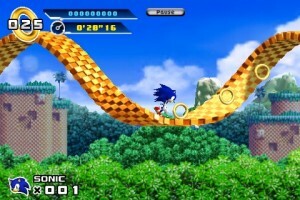 SEGA has released a trailer for the iPhone/iPod Touch version of Sonic the Hedgehog 4: Episode 1. The trailer has been posted exclusively at Yahoo Games’ Appolicious website and shows gameplay footage from Splash Hill Zone, Casino Street Zone and Mad Gear Zone. We get to officially hear music from Casino Street Zone and Mad Gear Zone for the first time in this trailer, too. Appolicious confirms that this version of the game will include online leaderboards, just like the console versions. Still no price confirmd for the U.S. and Europe, unfortunately. We’ll let you know when SEGA reveals details. Thanks to Woun at the SSMB for the YouTube conversion.